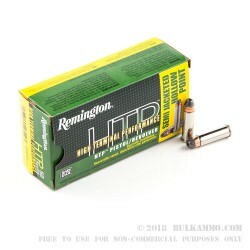 Remington’s High Terminal Performance .38 special +P ammunition is an American-made, high performance self-defense round. 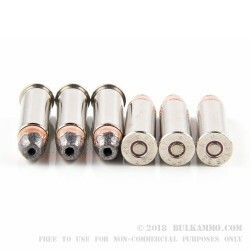 These .38 special +P rounds are loaded with 125-grain semi-jacketed hollow point projectile into a boxer-primed, noncorrosive, reloadable brass case and are designed to function as reliably as possible in any self-defense situation. 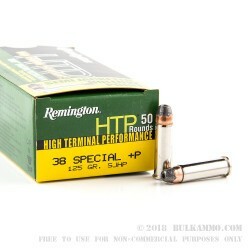 Each box of Remington High Terminal Performance .38 special +P ammunition comes with 50 round, and each case comes with 10 boxes. 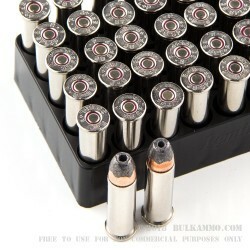 +P rounds are designed to be used in firearms rated for the extra pressure, check your manual before using.